The TotalCounterOHRF people counter installs over the door and combines a battery-operated sensor that wirelessly sends count data to a receiver with volume controlled chime and a 5-digit display. 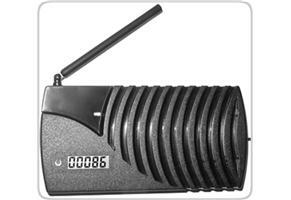 The typical wireless transmission distance between the sensor and receiver is up to 500 feet. The sensors can also be installed on a wall and used in a ‘single-sided’ mode. 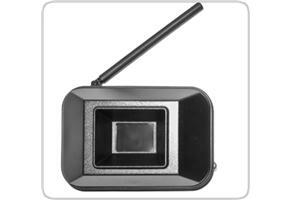 The black sensor can be used outdoors in a side-mounted mode to count cars and people walking by. The TotalCounterOHRF installs on the ceiling over the entrance and incorporates state-of-the-art passive infrared (PIR) sensor technology with wireless convenience for detecting infrared energy emitted by objects, when in motion, within a given detection area. This unit is not affected by sunlight, car headlights, reflections, shadows, or colors. 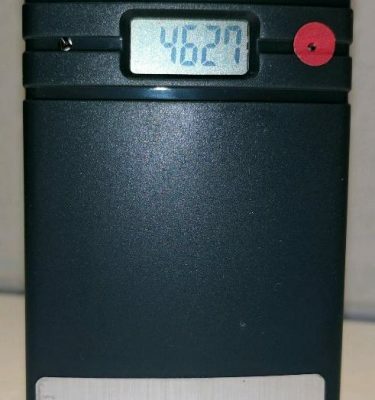 The accuracy should be similar to an IR beam break counter. The TotaICounterOHRF sensor is battery-operated and wirelessly sends its count data to a remote receiver. This receiver has a volume controlled CHIME and a 5-digit display with reset button. So you install the one-piece sensor on the ceiling over the entrance and read the total counts at your desk. 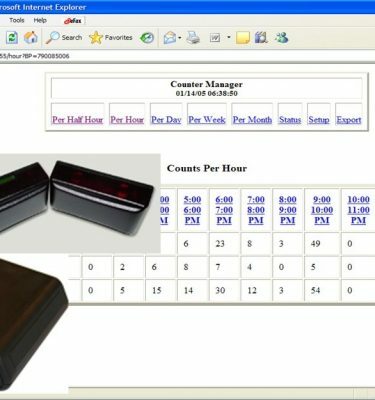 By adding a wireless count transmitter and a DataMaster receiver attached to your PC network, you can view half-hour, hourly, daily, weekly and monthly counts at your PC. 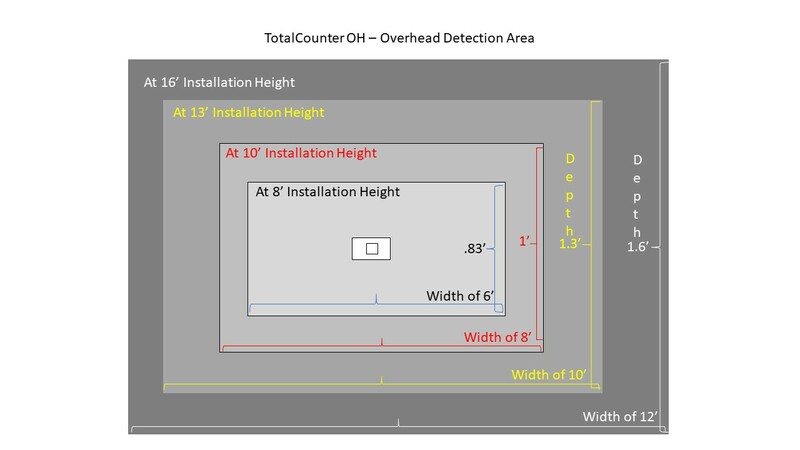 The TotalCounterOHRF does not separate the IN and OUT the counts so it will be necessary to divide the display count by two. 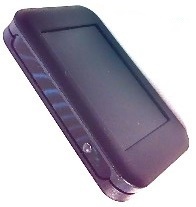 Remote Large five-digit liquid crystal display with reset button. 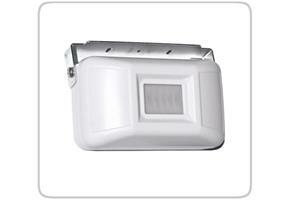 FCC Approved wireless communication from sensor to display/chime up to 500 feet away. 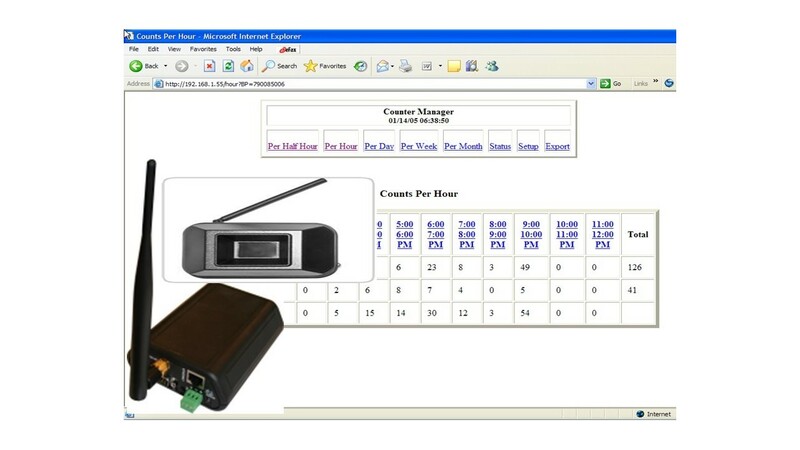 FCC Approved wireless communication from the chime to the DataMaster up to 100 feet away. AC-powered receiver with 5 foot power cord. No reflector – no infrared receiver – no misalignment issues – easy to install. Sensor Battery Type: Three, Standard 1.5 Volt, AA Alkaline. User replaceable. 12 month battery life. Mounting bracket and screws included for ease of installation. The physics of all infrared people counters means that if two people walk through side-by-side, they will be counted as one. And if a group of people walk through at the same time, it is unlikely that all of them will be counted. ALL infrared beam-break and ALL infrared-reflected people counters work in the same way. On a single door entrance (typically 36″ wide), most people enter one at a time, so the counting accuracy is typical very high (93 to 95%). But on a double-door entrance – this typical accuracy can drop to 80 to 85%. © 2019 We Count People.